Lucie has been raised by bourgeois parents as a passionate young fascist. But at the age of eighteen, she decides to volunteer in the Nazi labour camps in Germany, intending to disprove what she sees as the lies that are being told about Nazi-Fascism. Instead, she discovers the horrible truth there and is changed completely. Discarding her identity, she joins a group of deportees being sent to a concentration camp in Dachau, South Germany. In October 1944, Lucie escapes the camp and wanders a Germany destroyed by allied bombardments. While helping to search for survivors amongst the rubble, a wall falls on her and she is left paralysed from the waist down. How can Lucie recover after everything she has been through? I began reading this autobiography wondering why on earth anyone would have wanted to volunteer to work in the Nazi labour camps in Germany. Yet, as I was reading, I began to understand Lucie and her curiosity; if you had heard rumours about something you had always been told (and therefore believed) to be true, you would naturally begin to question these foundations of your life and seek out the truth. As a result, I had huge admiration for her as she took the plunge not only to discover details that were completely at odds with her ideology, but lived as those under the oppression of Nazi-Fascism lived. The descriptions of life in the barracks is documented with specific information, from the lack of food and body lice to the interactions between fellow prisoners and Lucie herself. You might think that details are a bad thing in a book that deals with this kind of subject matter. Far from it. Instead, it is exceptionally eye-opening as you put yourself in Lucie and the prisoners’ situation with the malnutrition, lack of hygiene, and awful treatment by the Nazis. 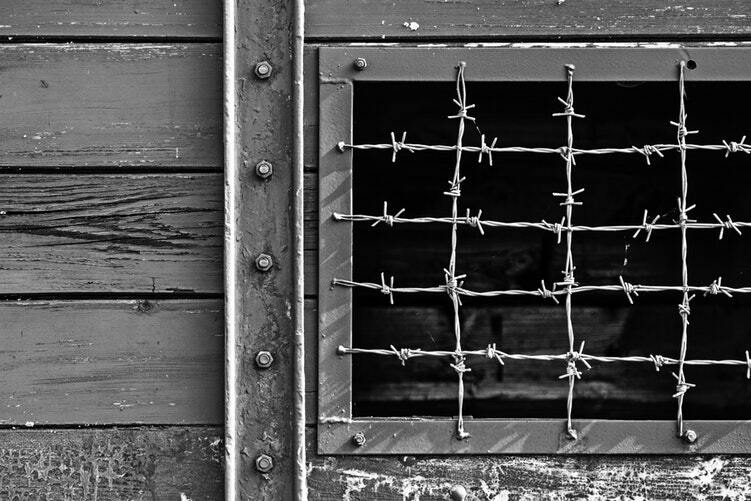 Although there is a lot of literature about survivors’ experiences of concentration camps, every account is different, unique, and therefore enriching to read. The kindness and sense of community within the barracks is astonishing. It gives you hope for humanity, particularly in such a harsh environment as this; you realise that when things become unimaginably brutal and tough, people come together and help each other to survive, no matter what the cost is, how much effort it takes, or how big the risks are. Relations with other prisoners were initially hard for Lucie because of her Fascist ideology, with many scorning her for it. But her determination to endure and survive like everyone else is hugely commendable and inspirational. Not everyone had contempt for her, however, as other prisoners overcame their differences and regarded Lucie as a human being who was suffering just like them. Lucie’s time in the hospital after she had been paralysed does make you grimace with what she experienced, but it is ultimately poignant and uplifting. You would never believe that she could have survived with the extent of her injuries. She was adamant that she would not die and that kind of tenacity is very stimulating to read; it makes you feel like nothing is impossible and that if you are facing difficulties of whatever kind, you just have to have faith and believe that everything will work itself out. Memory is a key element of this novel not only because Lucie is reflecting on her experiences, but also because it changed them for her. What she underwent was so traumatic that it was not until she was much older that she could actually remember exactly what happened. She had told herself that she was deported to Dachau, but in reality she had been repatriated and she did not realise this until some years later. Such an honest and authentic depiction of memory and its power is universal for anyone who has experienced a terrible event. I found Lucie’s metaphor of a snake particularly useful as a way of thinking about memory because as she uncovered the truth, which differed from what she thought was the truth, it was like shedding a skin until all that remained was the raw, unvarnished, unchanged truth. Her story is also an example of how important memory is, especially for important historical events such as the Second World War. Memory allows us to explore experiences that we may never have previously considered or know about, and preserve that exploration for future generations to learn and understand. Overall, Deviation is a powerful autobiography about a young woman’s search for the truth and how she came to terms with it. Lucie is an inspirational woman in her determination to endure and survive the seemingly impossible.